With all the distractions that fill our students days, teachers need to have a bigger and bigger bag of tricks to keep students involved in learning math and literacy every day of school. We need our students to stay focused to make the best use of our teaching time! What’s one of the very best ways to keep your students engaged in learning? Keep sprinkling the learning with fun! And what’s the easiest way to keep things fun AND keep the learning moving forward, too? My vote goes to GAMES!! Games are a wonderful learning tool all year, but in spring, they can be a sanity-saver! * When your students are playing games, chances are great that they’re going to stay focused longer, and that means they’ll be getting more practice, no matter what skill the games are designed to reinforce. * Playing games will also continue to promote the social skills that you’ve been teaching all year, like taking turns, using kind and respectful language, being a good loser, … and a gracious winner, too! * When your students are playing games and you’ve established rules that will help them be independent, you’ll be able to carve out some time for one-on-one end of year tasks, like reviewing portfolios and testing. 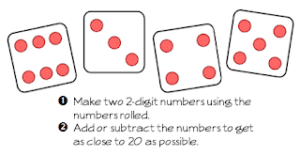 Give games a try with this second grade freebie! 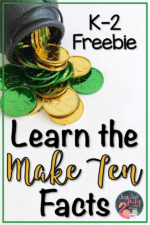 Your students will use three numbers to find the least possible and greatest possible sums of any two of the numbers – ooooh, strategic thinking!! This article originally appeared at Primary Inspiration. 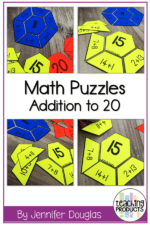 Looking for more second grade math games? Click here!